Where did our babies go? 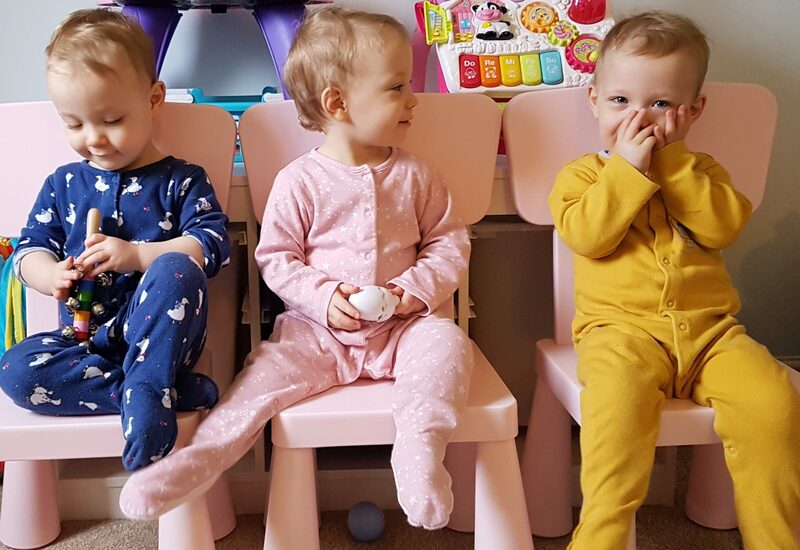 by Triplet Dad.In Home-life blog.1 Comment on Where did our babies go? The last four months I have been adjusting to living with chronic pain. It’s been a difficult time that has had me feeling separated from my family and life. Lost in worry and limbo as to the cause and my outlook for the future, I have been missing what’s in front of me. The last time I checked we had three babies, who were finding their feet with walking and developing social skills, and who didn’t fight like Ferrel animals when we changed their nappies. I have realised this last couple of weeks, as I have returned back to earth that the babies are gone. That phase of their lives is behind them and it’s strange to think it’s now over. My wife said to me at can be difficult to move on from each stage as they grow. She said at can be almost like grief as you lose the little personality you had to a new and different one. One that no longer sits still to play but has figured out how to get on the sofa and run about and laugh at you when you sternly tell them to “Sit down or you’ll hurt yourself”. We no longer have babies but toddlers. Blakely has finally began taking her own unaided steps, and with the other two charging about like miniature drunk rhino’s it’s safe to say they have lost the baby title. They may have become toddlers but along with their new stage in life comes a new set of personalities, and some serious high-octane entertainment, that without eyes in the back of our heads we would need a red line type bat phone to A&E. I love this stage they are now in though, they really are hilarious. Hard work but worth it in so many ways. The word of the day is “Lexa!”. The unison cry’s for the Amazon gadget can be heard through the baby monitor at bed time, and as soon as they awake. They still have their own language which is quickly expanding as they continue to communicate in a way we will never understand. It may be jibber-jabber to us, but they know exactly what they are on about. They have all now taken to dancing at every chance music comes on, busting out moves, pulling duck faces and mouthing along in song with a passion I’m proud to see as a musician and singer myself. Having been at home off work has not been the ideal situation for us as a family, but in finding a little acceptance now around my health I have began to enjoy the fact I get to spend so much time with them. They are such bright lights it’s difficult to get lost in the dark for long.